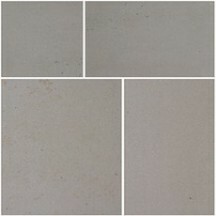 Your Bradstone Sandstone will be much easier to maintain if you have correctly sealed it. For further information about sealing click here or see the article, below. If you have specific cleaning issues with your Bradstone Sandstone such as oil stains, leaf stains, or rust marks please click here or see the article, below. Algae prevention. By far the most advantageous thing to do is to ensure you prevent algae and lichen from growing on your stone. This is very easy and inexpensive to do by using Algerase. Full instructions are on the product page. General dirt. You can use Powerase, diluted about 1:15 with water, to remove general soiling and dirt. Full instructions are on the product page. Food and Drink Marks following a BBQ, party or dining outside. Use Powerase, diluted about 1:20. Full instructions are on the product page. Leaf and plant stains. Use Biorase. Full instructions are on the product page. For algae or black spot lichen please see our article by clicking here or see the article, below. Be careful..! We suggest you read our article on pressure washing by clicking here or see the article, below.